Our studio directory in the States just keeps on growing! After adding a string of amazing locations in Nashville to our site, we are pleased to present a stunning residential recording studio on the other side of the continent, in lush Washington State, Bear Creek Studio. Located just 30 minutes north of Seattle, Bear Creek is a rural getaway set amongst the natural beauty of the Pacific Northwest. 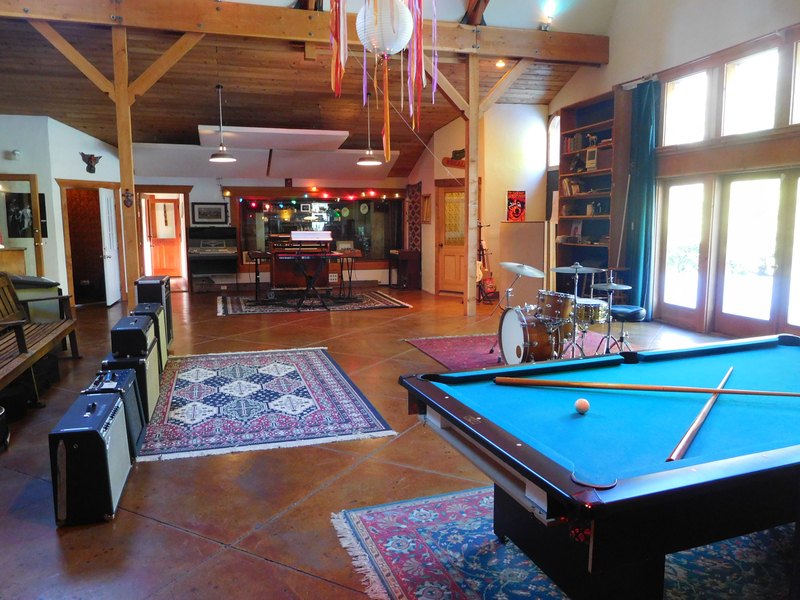 The converted farm houses a state of the art recording facility, including a 1600 square foot live room aka ‘the big room’, spacious control room, another smaller live room known as ‘the wood room’, and three iso rooms. 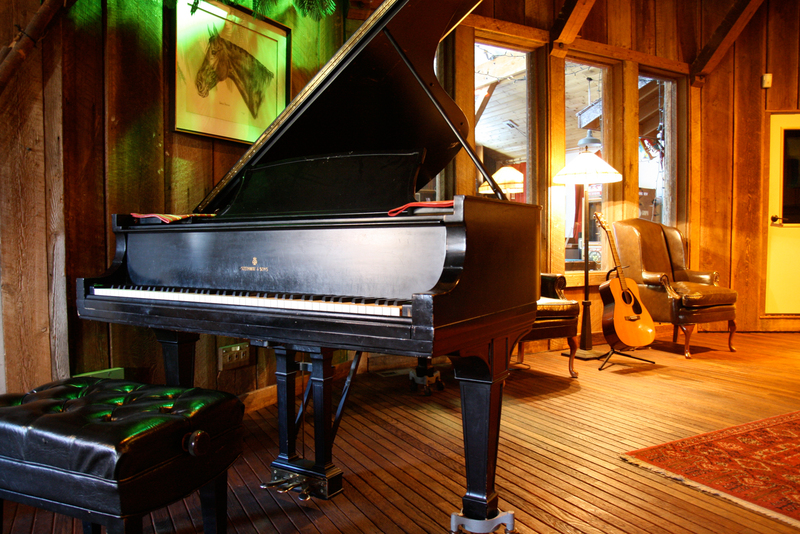 The big rooms is home to a Steinway B 7 foot grand piano, along with plenty of instruments such as vintage Ludwig and Camco drum kits, vintage synths, keyboards, guitars, amps and more. It has enough space to record projects from small bands to a 60 piece orchestra. It can be used on its own, or in conjunction with the wood room, using the three large windows to provide excellent visibility between the two. The three iso rooms and control room are also connected to the big room via large windows. 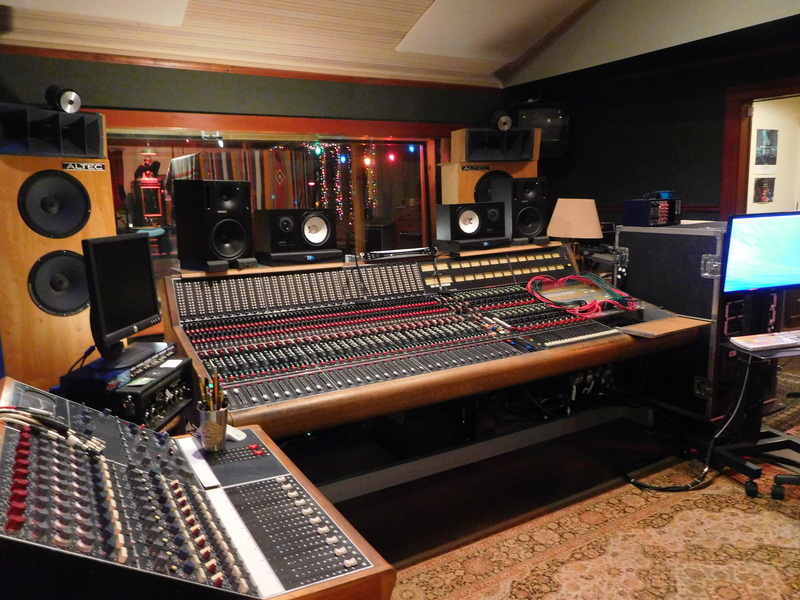 Bear Creek’s control room is centred around a Trident TSM 32×24 console with Uptown Moving Fader Automation and Neve BCM 10 sidecar, and also features a great collection of vintage and modern outboard gear. In the main building there is also a kitchen, dining and lounge room for clients to use during sessions. 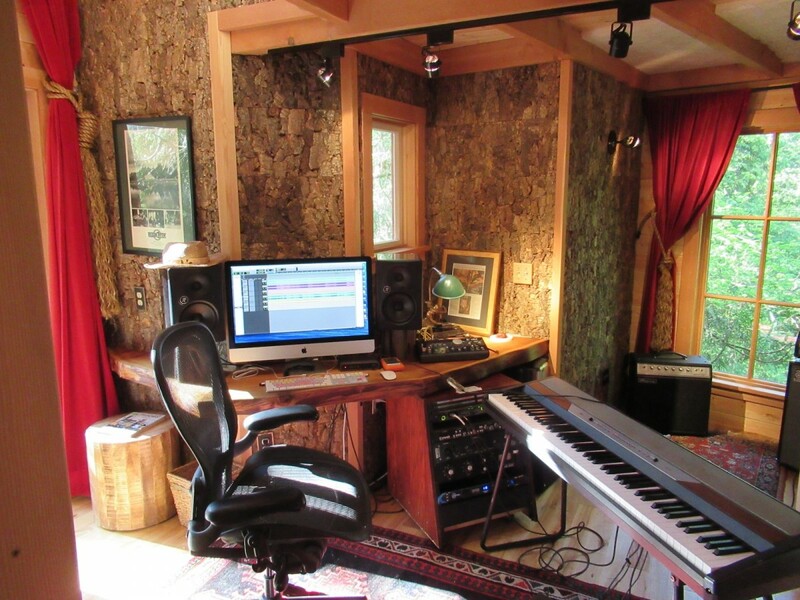 Set slightly apart on the 10 acre property is The Treehouse, a fully contained studio that sits 18 feet off the ground, and is perfect for writing or mixing, but also has enough space to set up a whole band. With 15 foot ceilings and clad in wood, it created a beautifully absorbent acoustic sound. The on-site accommodation is divided between The Loft, The Cabin, The Treehouse and The Farmhouse, which in total sleep up to 7 guests. If all that hadn’t convinced you to pack your bags and head to Washington, the property’s ten beautiful acres feature a salmon spawning creek and pond for inspiring walks and getting in touch with nature.